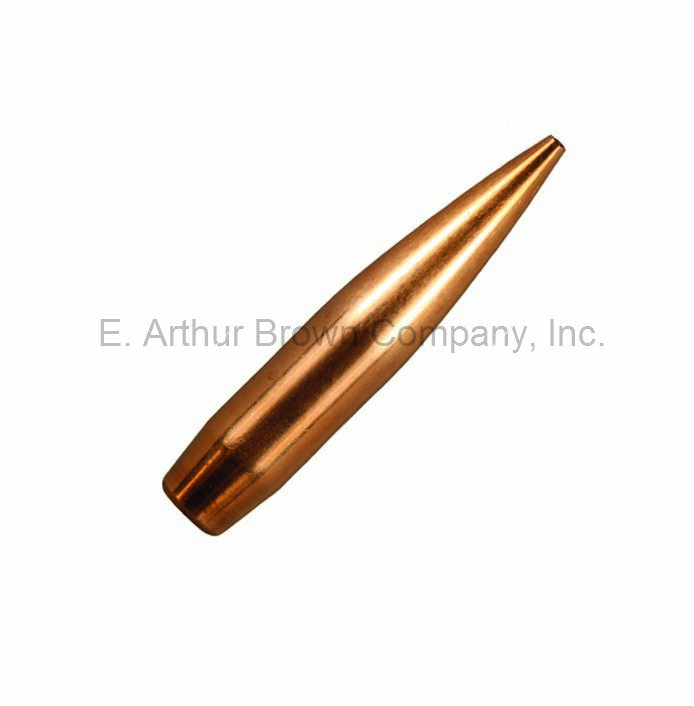 Berger Classic Hunter Bullets 264 Caliber 6.5mm 135 grain (100) -NEW! The VLD design incorporates a sharp nose that allows the bullet to penetrate up to 3 inches before it starts to expand. This delayed expansion results in a wound channel that is deep inside the vital area of any big game. After the bullet starts to expand it will shed 80% to 90% of its weight into the surrounding tissue traveling as deep as 18 inches. This results in a massive wound cavity that creates the greatest possible amount of tissue damage and hemorrhaging within the vital area (organs). This massive and extensive wound cavity results in the animal dropping fast. Non-returnable item. Mix and Match Up to 15 lbs of Bullets for One $7.95 Shipping Charge! Freight is prepaid to the 1st 48 states on regular ground service only. Each Bullets Only order will have a Non-Refundable $7.95 Flat Rate Shipping charge, excluding AK, HI, PR, and VI orders, or any order where the customer pays actual freight & insurance. Orders shipping to AK, HI, PR, and VI or any customer requesting a different shipping method will pay actual freight & insurance. We reserve the right to ship by UPS, FedEx, commercial truck, U. S. Postal, or Speedy Delivery. No Back Orders.